Offering: Mrs Matshira: Malachi 3:10-14, Romans 14:1-4. 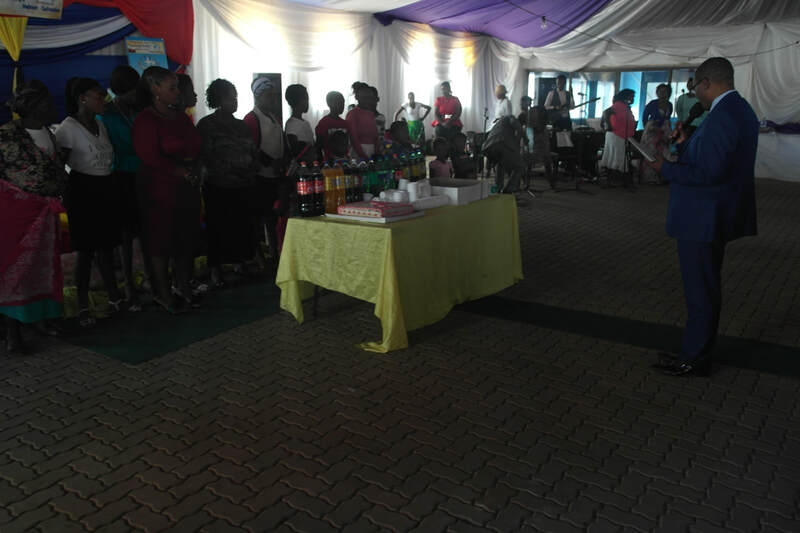 Praise & Worship: Ps Mrs Beauty Muligwa:- Acts 16:25. Deut 28:6-13 “6 "Blessed shall you be when you come in, and blessed shall you be when you go out. 7 "The Lord will cause your enemies who rise against you to be defeated before your face; they shall come out against you one way and flee before you seven ways. 8 "The Lord will command the blessing on you in your storehouses and in all to which you set your hand, and He will bless you in the land which the Lord your God is giving you. 9 "The Lord will establish you as a holy people to Himself, just as He has sworn to you, if you keep the commandments of the Lord your God and walk in His ways. 10 Then all peoples of the earth shall see that you are called by the name of the Lord, and they shall be afraid of you. 11 And the Lord will grant you plenty of goods, in the fruit of your body, in the increase of your livestock, and in the produce of your ground, in the land of which the Lord swore to your fathers to give you. 12 The Lord will open to you His good treasure, the heavens, to give the rain to your land in its season, and to bless all the work of your hand. You shall lend to many nations, but you shall not borrow. 13 And the Lord will make you the head and not the tail; you shall be above only, and not be beneath, if you heed the commandments of the Lord your God, which I command you today, and are careful to observe them.”’ NKJV. We are still continuing with our theme for the year. You are the light of the world. Deut 28:6 6 "Blessed shall you be when you come in, and blessed shall you be when you go out. “ NKJV. Because you are the light, you must go around with your blessings. You don’t buy them. The bible says God blessed them. The blessings go to the people that God wants them to have i.e. to whom they belong. Blessings is a must in your life. How can you have light and not be blessed? When God says you are the light it means you are blessed. Demand your blessings. Blessings are a must. When God created me He blessed me. I want to walk with my blessings, sleep with them. I want my blessings now. You are blessed, whether the devil likes it or not. You are blessed. Where are the blessings? God says when I created you I blessed you. We never heard in the scripture that I have withdrawn my blessings. You are still blessed. Why? God is still with you. You are blessed. Deut 28:8 8 "The Lord will command the blessing on you” NKJV. God says I created you and blessed you and the same God says I will send my blessings to come to you. God says when you walk with the light I will send forth my blessings. If the devil stole your blessings he has done nothing because God will send them back to you. Do not worry about what the devil has stolen but mend your ways with God, hear Him and obey Him I am telling you God will send them. It doesn’t matter how long they been stolen. Maybe they were stolen when you were still a girl, it doesn’t matter it will come being multiplied and with interest. The bible says in Dan 10:13 that God heard and saw. Again in Isa 59:2 My hands are not too short to protect you, My ear not deaf that I can’t hear your prayers. He is saying “I am still doing my calculations”. He wants to give you the right figure. Deut 28:11 “11 And the Lord will grant you plenty of goods, in the fruit of your body, in the increase of your livestock, and in the produce of your ground, in the land of which the Lord swore to your fathers to give you.” NKJV. He says I will make you rich. Is He lying? I will make what you touch prosper. What you plan I will make you rich. When you have goats at home they give birth to twins. You will harvest very big cabbages and carrots. The leaves of the spinach will be so big. This is when God is making you rich. He will even make sure that even those who owe you do not sleep. They will wait for morning to come so they can bring back your monies. Deut 28:12 ’12 The Lord will open to you His good treasure, the heavens,”…NKJV”. There are certain riches that are not good. I want you understand why He says good treasure. There are riches which are evil, where you have to kill people to be rich. If you are rich because of killing people first or selling children at home. You can’t sell your children, brothers and sisters for money. If you do, you are dangerous. I will give you treasure that is not tainted. I will open up the treasure to you. Let me tell you people are suffering in life. At the end of the month, they’re broke, no money, they can’t even buy themselves a decent meal on pay day. They work well but have nothing to show for it. Deut 28:13 “’13 And the Lord will make you the head and not the tail; you shall be above only, and not be beneath, if you heed the commandments of the Lord your God,” NKJV. Church of God, were are not the tail. Do you know the works of the tail? If you know a dog, with its tail, any attack from behind, starts with the tail. The meaning of the tail, say you are standing at the end of a line, to receive something by the time you come to the front you find the they are finished, even if those things are for free. The bible says we are not the tail but the heads. When we speak of work, you must be ahead, your salary, you must be ahead. Fight to be ahead. I am not saying fight for positions. Let me talk about people with no light. You will be cursed at home even at work. When others are paid you don’t get paid. At home you break your plates and cups. You stumble even when there are no steps. You are injured by your own house. Your experience: the door hitting you and you get injured. At work we know you are the next in line in terms of hierarchy and your supervisor gets sick and employer says were are looking for an acting and they decide it is best not to have an acting or they take people way behind you when you are there. That is a curse at work. When others get increment at work, you are forgotten. You only get yours after fighting, you have to query HR and they ask how can we forget you? Your money is always paid late, you are cursed at work. Deut 28:17 17 "Cursed shall be your basket and your kneading bowl.” NKJV. Your basket is your account. Your phone never rings to show money has been deposited into your account. Your phone is silent while others are receiving sms’s you must first complain. That is when your basket is cursed. Deut 28:19 ”19 "Cursed shall you be when you come in, and cursed shall you be when you go out.”” NKJV. When you go out the gate of your yard you stumble and fall and when you come back in the evening and enter your yard you gain stumble and fall.